Welcome to our first monthly theme. Our four novels highlighted for August 2012 involve stories with one of the main characters being a school principal. These range from tiny country schools in Long Valley Road, a private girls’ school in Blemished Jewel, a London school in Stretched Horizons and several primary schools in Wind Across the Playground. 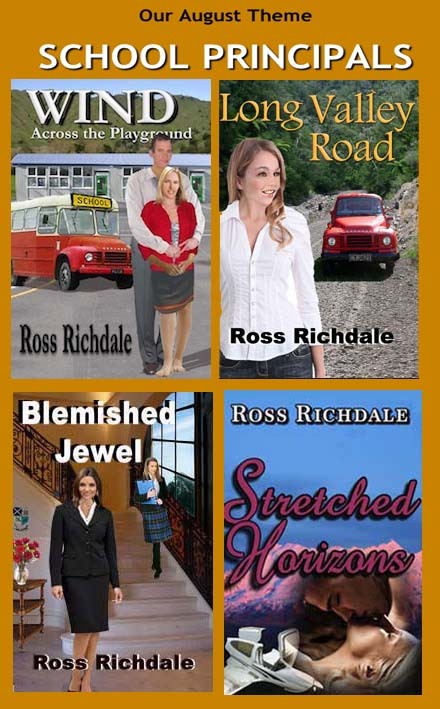 All are exciting stories with a touch of romance, mystery and thrills. Visit our homepage for publisher links.